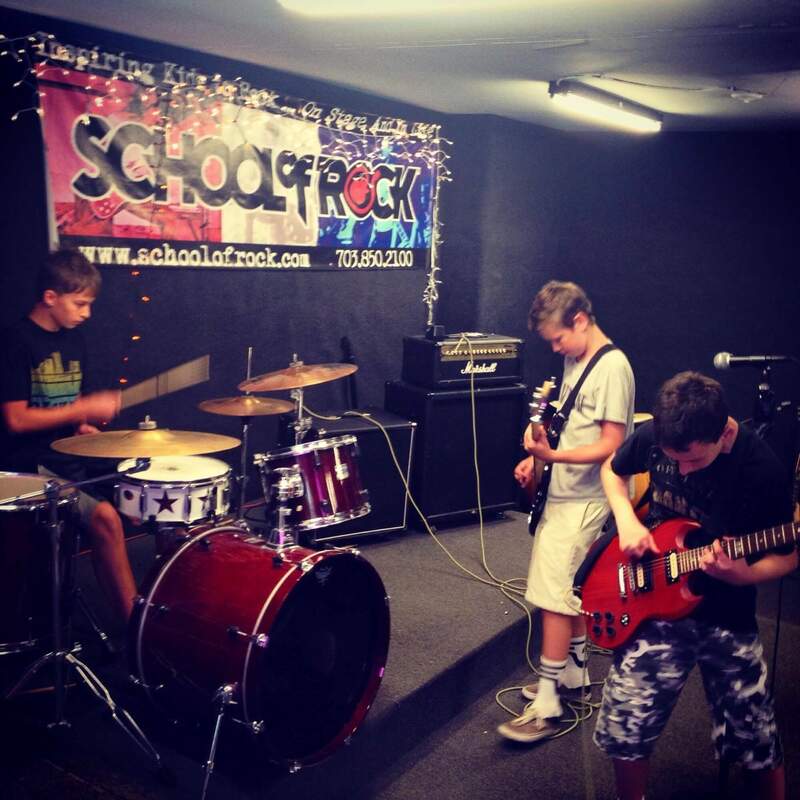 School of Rock Silver Spring’s music teachers are experienced musicians devoted to helping students attain musical proficiency. 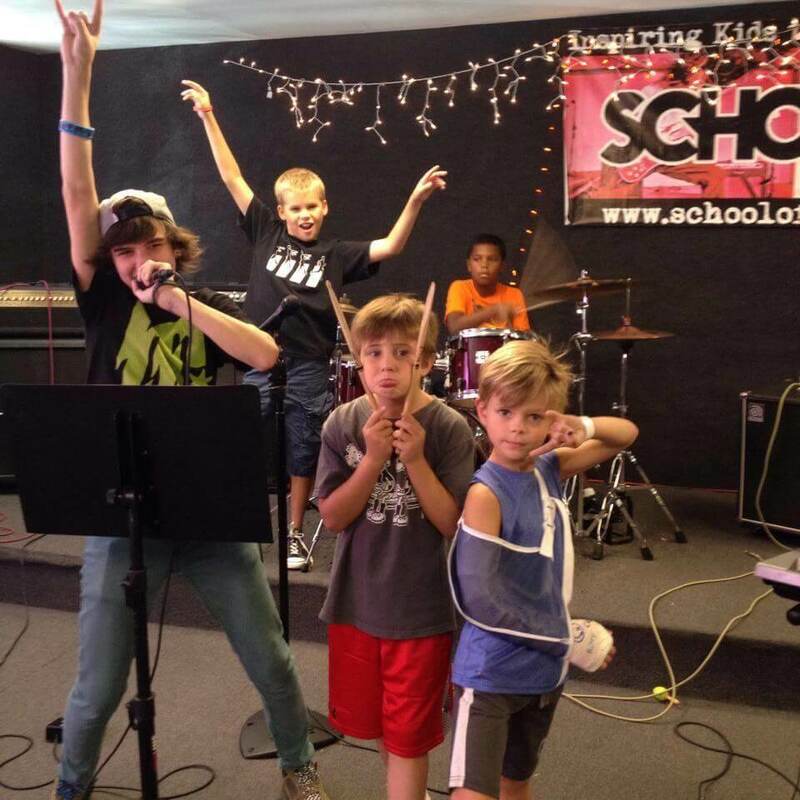 From singing to drums to guitar, our Silver Spring music instructors inspire and teach students to perform live. Gia Ashe graduated Berklee College of Music in 2007. In 2008 she packed up her life and moved back to Denver. 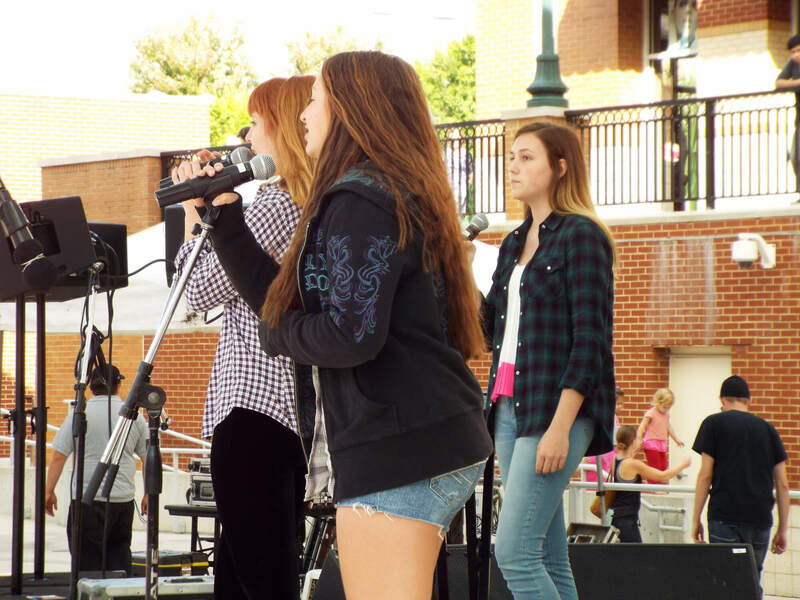 Here, Gia began teaching private lessons in guitar, bass, vocals and piano. Gia interned after college to work for Music Together as an early childhood education music instructor. She taught group guitar classes to adult students at a local folk music school. 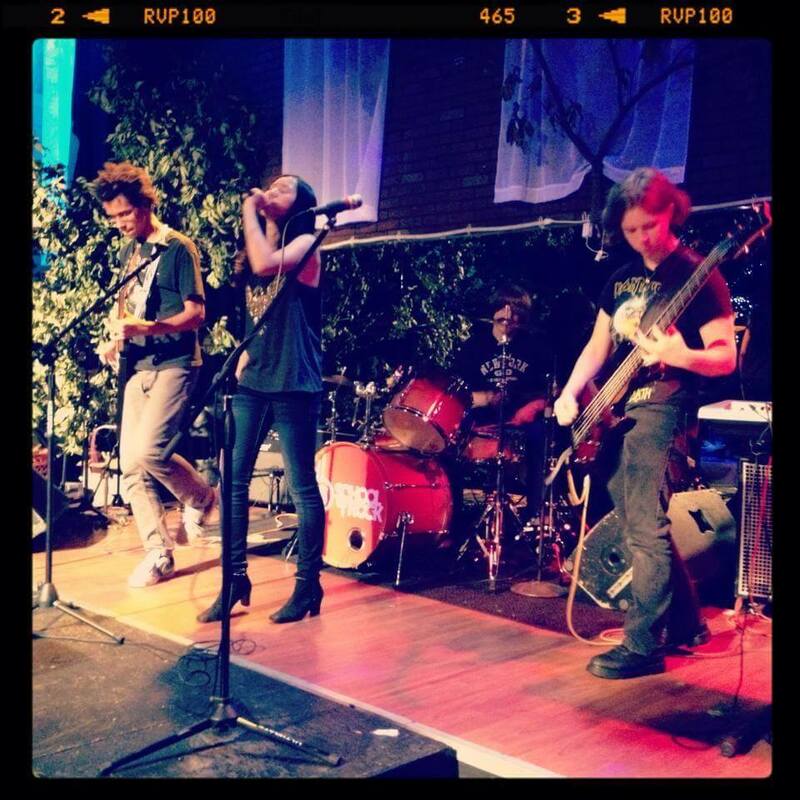 In 2009 Gia joined School of Rock Denver as a guitar substitute instructor. 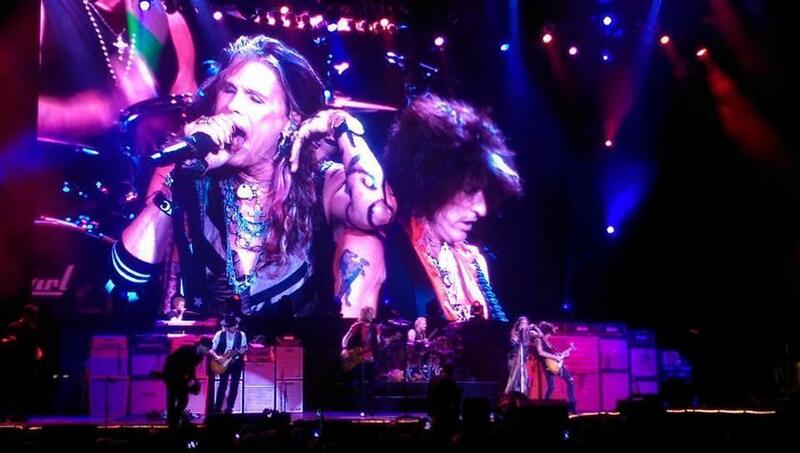 Gia soon recognized her passion in life was music education within rock n' roll. Gia soon evolved into a show director teaching each instrument. In March 2012, Gia became the Assistant General Manger for the Littleton school, eight miles south of the Denver location. A year later she accepted the position of General Manager. 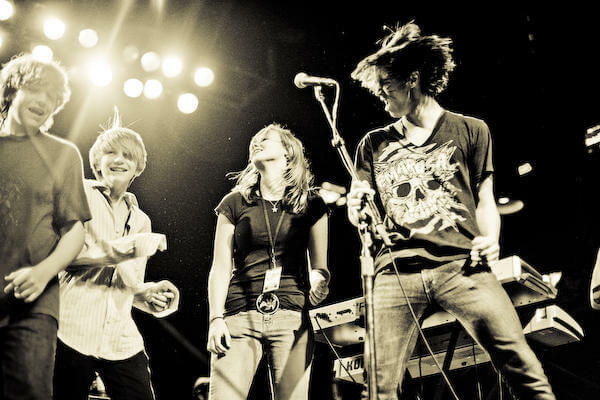 After seven years in Colorado working at School of Rock, Gia felt the shift to head back east. 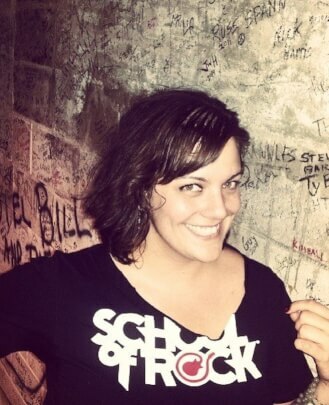 To her delight, Gia found a new home at School of Rock Silver Spring as their Studio Manager. Gia enjoys playing music with anyone and everyone, nature, cooking, dancing, jokes, a good cry and most importantly bringing rock n' roll to the world. 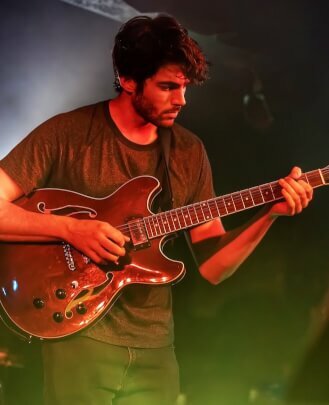 Garrett Gleason graduated from the University of Maryland in 2013 for Jazz Studies for guitar performance and has been teaching for several years. 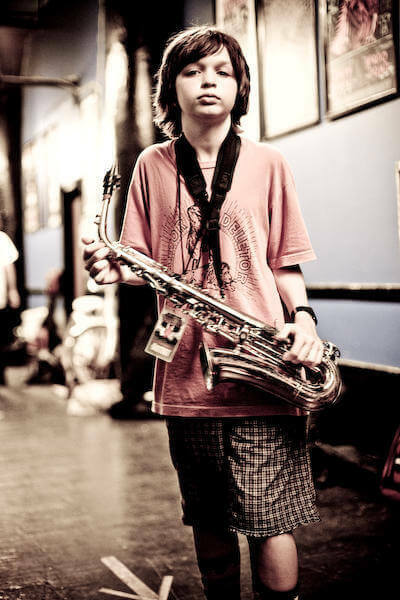 Since graduation, Garrett has performed and recorded with various DC and MD-based artists as well as with his own groups, experimental rock Cartoon Weapons and improv ensembles Gentle Men and Hashima Machine. He aims to help people embrace music through developing an understanding of the musical language, personalizing learned music through intuition and creativity, and helping others experience the magic of making music with others. 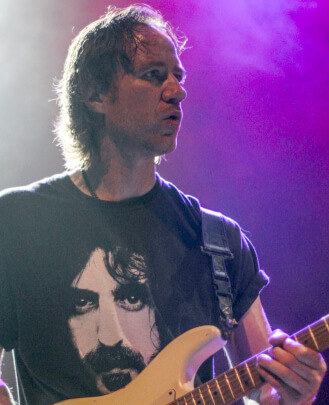 Chris Volkstorf has been a musician and guitarist since 1985 when he first started messing around on a friend's cheap Strat copy, and over the years he has developed a versatile and entertaining style of guitar playing. He has been in several bands (Hot Buttered Elvis, Bloody Meri, SUPERFAMOUS) and has extensive experience both on stage and in the recording studio. He loves all kinds of music, from blues and blues-based styles like rock and jazz, to more esoteric and atmospheric genres. These days he devotes much of his time to writing songs and instrumental music. He lives on the west end of Alexandria, VA inside the DC beltway. He is a guitar teacher at School of Rock Silver Spring. 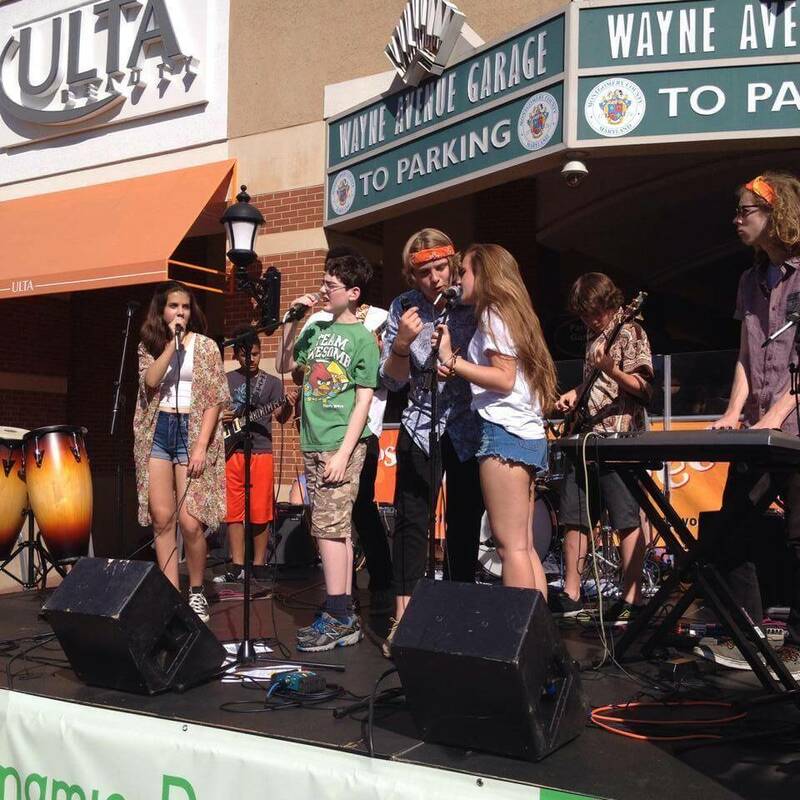 Born and raised in Takoma Park, Joey Jenkins is a musician in the DMV who has found his way to School of Rock in his search for a way to spread confidence and enthusiasm through music. Joey believes that nurturing the artist in each of us from an early age is crucial for development of communication and other interpersonal life skills, whether or not they become a professional musician. 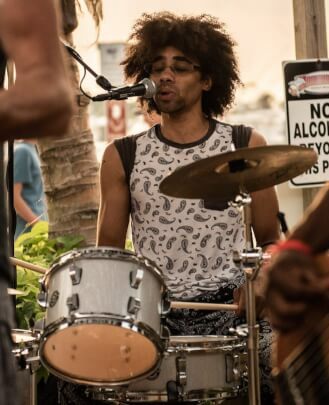 Joey started playing music in a rock band in high school and continued studying music until his competency and consistency led him to a place of joy and stability. 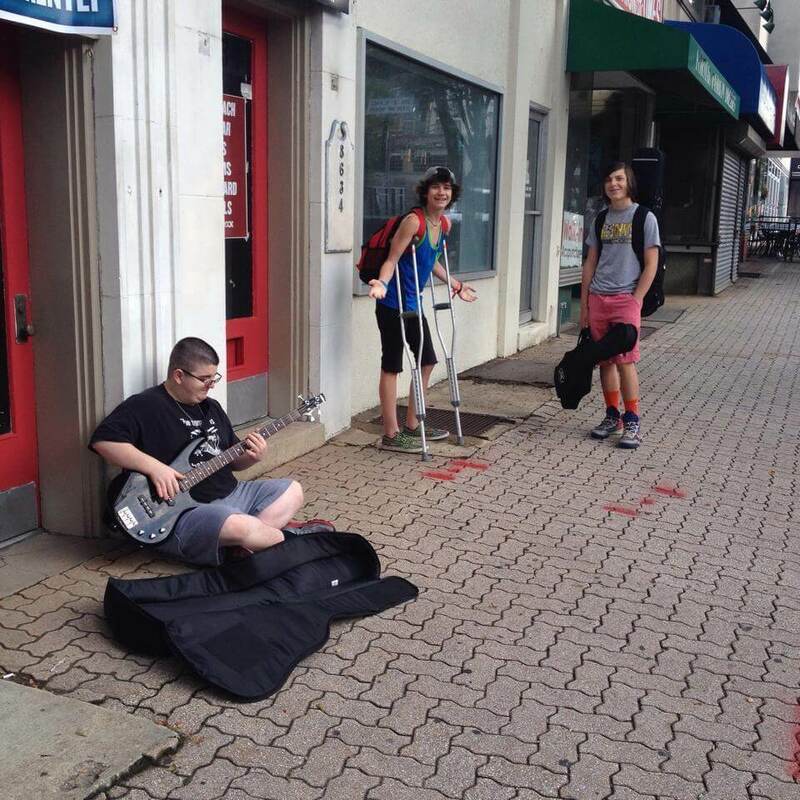 Today, Joey plays in several local groups and encourages people of all ages to play music through public and private meet-ups where they can perform and jam with musicians of any caliber. His understanding of music theory, fluid adaptation to numerous styles and patience with others can be readily observed both in the classroom and on stage. 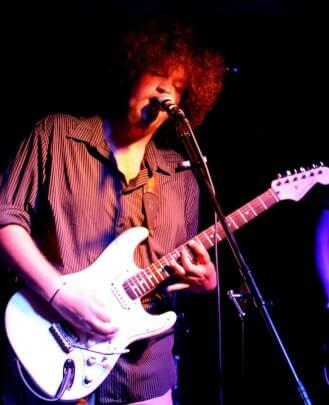 Joey is primarily a drummer, but also plays and teaches guitar, bass and vocal performance. 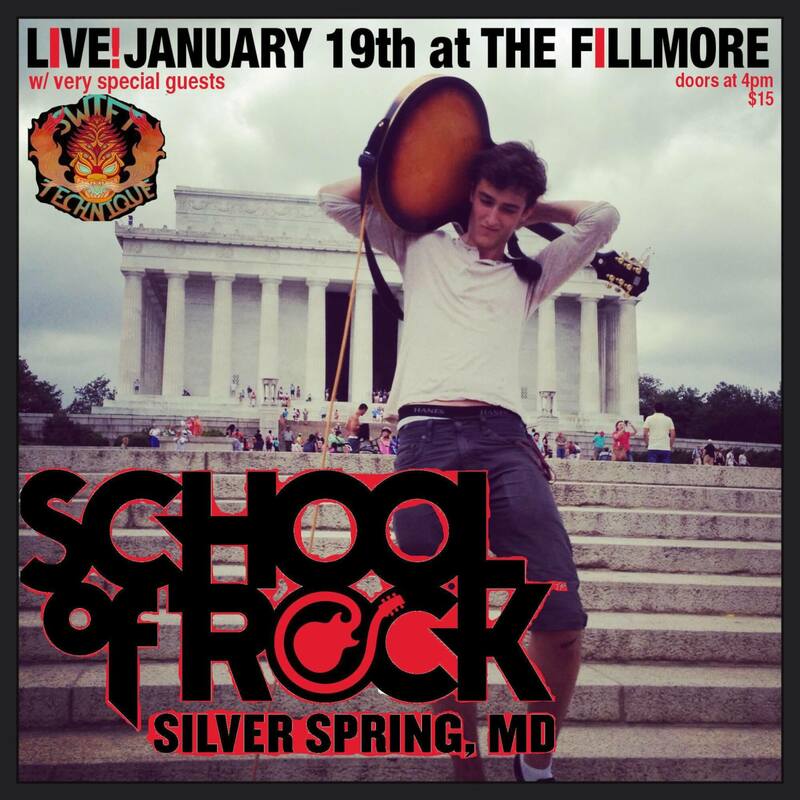 Jaime Moffett is a guitarist and bassist from Baltimore, MD, and is excited to share his musical knowledge with School of Rock Silver Spring students. Jaime did his formal musical training at Towson University, where he earned a Bachelor of Music degree in 2006 with a focus on jazz guitar performance. He has also been an active teacher since 2004, and has experience teaching students as young as five years old to adults in retirement. In addition to his time spent at Towson and as a teacher, Jaime has been performing music in a variety of ensembles as both a leader and sideman in the greater Baltimore/DC area since the late 1990s. Mike Schleibaum is a Washington, DC-based accomplished guitarist, musician, composer, music/management consultant and producer. 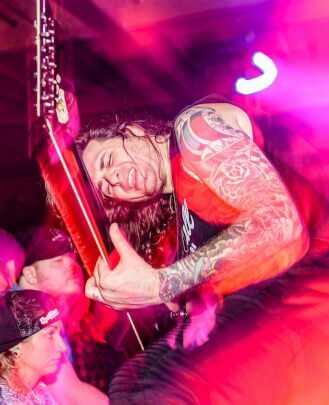 He has toured for two decades as the guitarist and co-founder of the European influenced thrash/punk/melodic death metal band Darkest Hour (1995-present). With Darkest Hour he has played over 45 countries and five continents, and released nine full-length records worldwide via 11 different record labels. Mike has worked with legendary metal uber-producers Fredrick Nordstrom (Studio Friedmen, Gothenburg Sweden), Devin Townsend (Greenhouse Studios, Vancouver, BC) and Brian Mcternan (Salad Days Studios, Baltimore, MD). While spearheading Darkest Hour he has released nine full-length records and two EPs. Additionally, he interned and later recorded and produced several albums while working at Baltimore, Maryland’s Salad Days Studios, under the supervision and guidance of producer Brian McTernan. In 2001 Mike graduated from George Mason University with a Bachelor Degree in Social Work and he is beyond excited to join the School of Rock family and inspire the next generation of DMV area musicians! 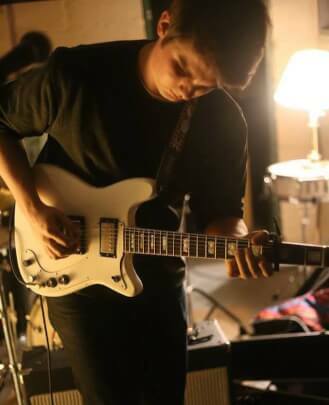 Kirby Jayes is a prolific guitarist and songwriter who has been playing guitar for 14 years and has been writing and playing original music in bands of all varieties since he was 15. He has has been an actively touring musician since 2013. His most recent musical enterprises are the surrealist Americana band Birthrates and music/poetry project Bread Internet, which he records at home and releases in monthly EP installments. 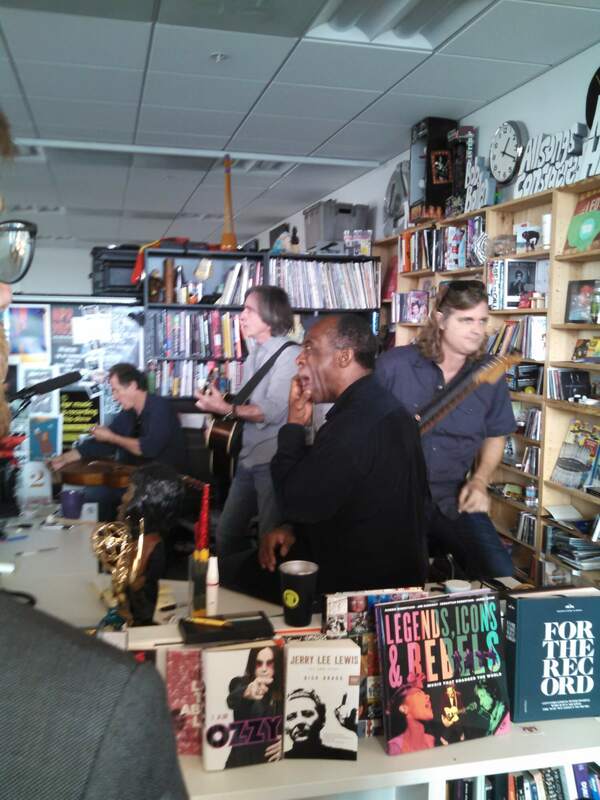 Kirby solidified his songwriting chops at Beloit College, where he received a grant to travel and study DIY music across America, earned his BA in American Literature and Creative Writing and performed in jazz, folk, rock and punk bands. After graduation he began teaching at a School of Rock location in Wexford, PA, and now can be found at any of the School of Rock DC locations. 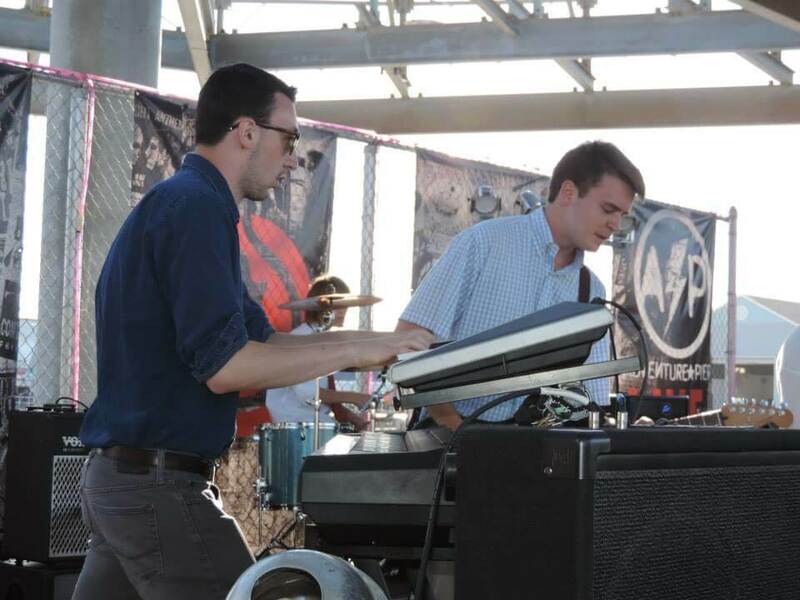 Kirby is passionate about bringing the joy of musical expression to his School of Rock students and believes that there’s never been a more accessible or exciting time to be making music. 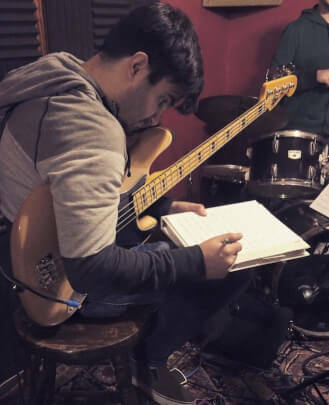 He believes in the transformative power of learning to work together as a band and enjoys working with beginner and intermediate students to illustrate the musical potential within every student, no matter who they are. Neel Madan is a vocal teacher and the singer and guitarist of Hide Your Fires from Silver Spring. He started his music career in musical theater during high school and college, which is where he received his formal training. He began learning guitar around this time as well and has recently taken up audio engineering. Aside from music, he is currently a substitute teacher with Montgomery County Public Schools and runs sound for various venues in the area. 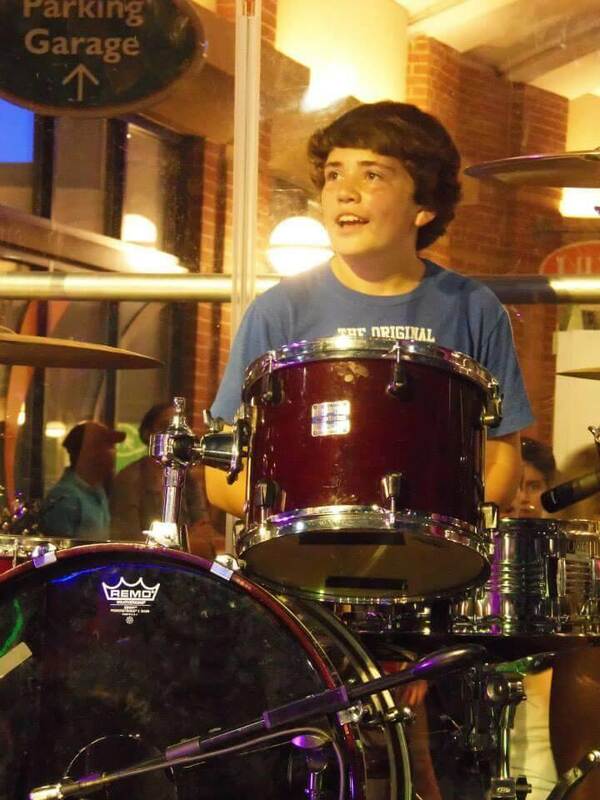 Brooks Owens is a musician and instructor from Columbia, MD and says he was born a drummer. 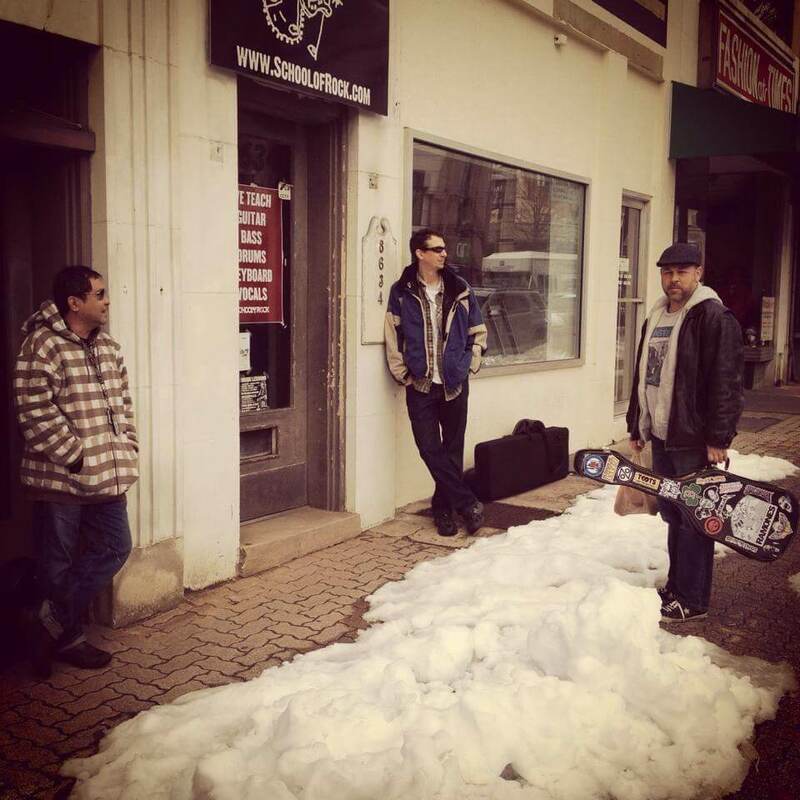 In addition to teaching, he plays with several bands and artists in the Baltimore/DC area, including The Slang and Matt Talley. Brooks loves learning about new music and having the opportunity to play with new people and new students. 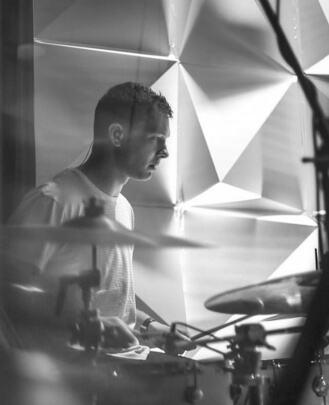 His favorite bands include Dawes, The Wonder Years and Death Cab for Cutie and he believes strongly in teaching drummers to serve the song and be fantastic bandmates. 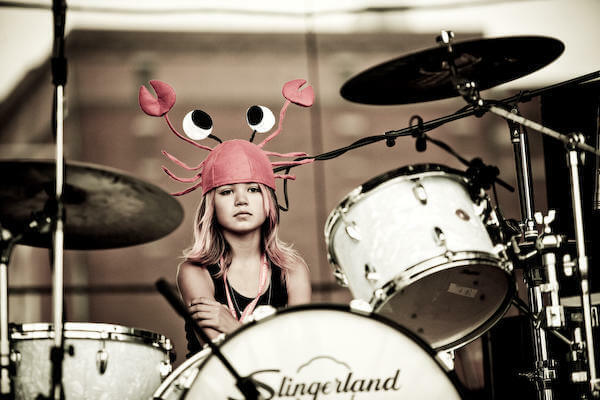 He is a drum teacher at School of Rock Silver Spring. 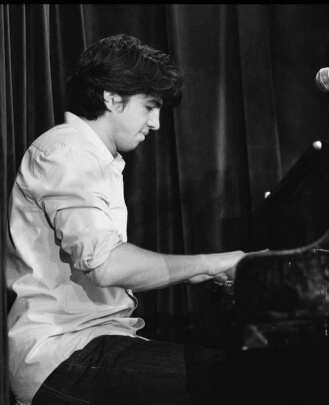 Jorge Maldonado began as a jazz piano player at an early age before becoming a composer. He was part of the Peruvian band Big Pollo Funk and toured Peru playing original funk and hip-hop tunes. His passion for composition arose while enjoying Brazilian rhythms, which are present in many of his early works. He experimented by transferring his rhythmical ideas to visual works, which led him to study Film and Video Game Scoring at the Berklee College of Music. Since then, Jorge has had the opportunity to perform with many famous artists, including Susana Baca, Oscar Stagnaro, Alex Acuña, Thomas Chase and Ramon Stagnaro. He has also worked as the music assistant for the renowned 90s TV show composer Thomas Chase, for whom he still composes musical tracks. He enjoys working with students of all levels and helping students express themselves on stage and in composition as well. He is a piano teacher at School of Rock Silver Spring. 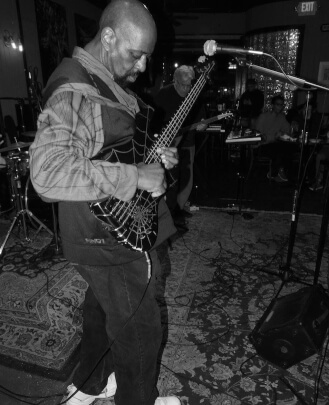 A DC native, Ricardo "PNut" Johnson began his musical journey on the bass in the fifth grade when he received his first instrument, a Sears electric guitar. He enjoyed the guitar but then he heard the bass in Rufus and Chaka Khan's "Sweet Thing" and from that point on he knew he wanted to be a bass player. Hearing of his new obsession, his uncle, a bass player in his own right, loaned him a bass and challenged him to see what he could learn by the time he got back from the road and the rest is history. During his years in the D.C. area, he played with various groups in a variety of styles. He played with the sensational vocal group Prim Degree, the cutting edge gospel group God's Creation, vocalist Gloria Brown and blues great Memphis Gold. In the 90's he toured Europe with the blues legend Memphis Gold. After years of playing on stage he decided to go get his music degree and attended the Music Tech College of Music, now called McNalley Smith, in Minneapolis, MN. After graduation he stayed in Minnesota for 10 years, where he was very active in the music scene and where he taught many aspiring musicians. He played with the blues group The HooDoo Kings, the 12-piece group Arayastone, the reggae mainstay Dred I Dred, the funk band Down with Gravity, jazz guitarist John Penny and a host of others. He is a consummate bass player and works at his craft continuously. In 2007 he attended Victor Wooten and Steve Bailey's Bass at the Beach and later that year he also attended Victor Wooten's Bass Nature Camp. He learned many things at these camps and has integrated them into his playing and teaching. Tired of the cold of Minnesota and homesick for the sights and sounds of D.C., he moved back in the area in 2011. 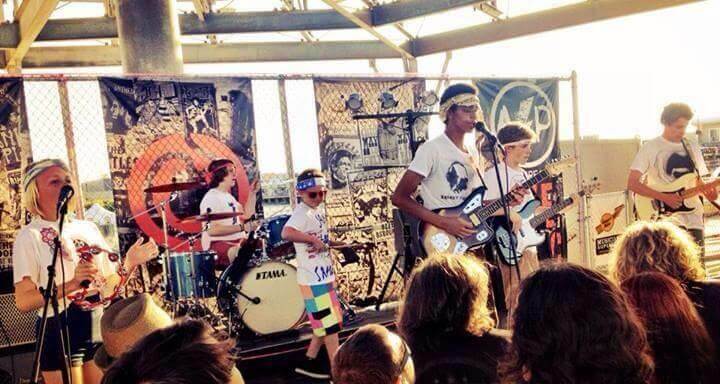 He has played with a number of groups since being back and is happy to be a part of the School of Rock family. Sean Pietras' passion for the performing arts has been evident since his first lead role onstage as a fifth grader. But it was at the age of 12 (when he received his first guitar) that his true love for music and performing was realized. 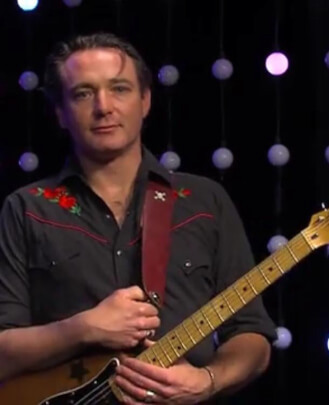 After years of rigorous study, dedicated practice and playing on hundreds of stages throughout his youth, Sean began sharing his unique style and approach as a guitar instructor and vocal coach in his late 20s. From there his students have gone on to attend world-renowned music colleges such as Peabody and Berklee College of Music, and have broken into the industry on more independent ventures by recording their own albums with Sean's help. He has also shared both the studio and the stage with tons of great acts and has played around the country supporting them along the way, playing places like BB King’s Blues Lounge in Nashville (with Marcell and the Truth) and making solo appearances at SXSW in Austin. 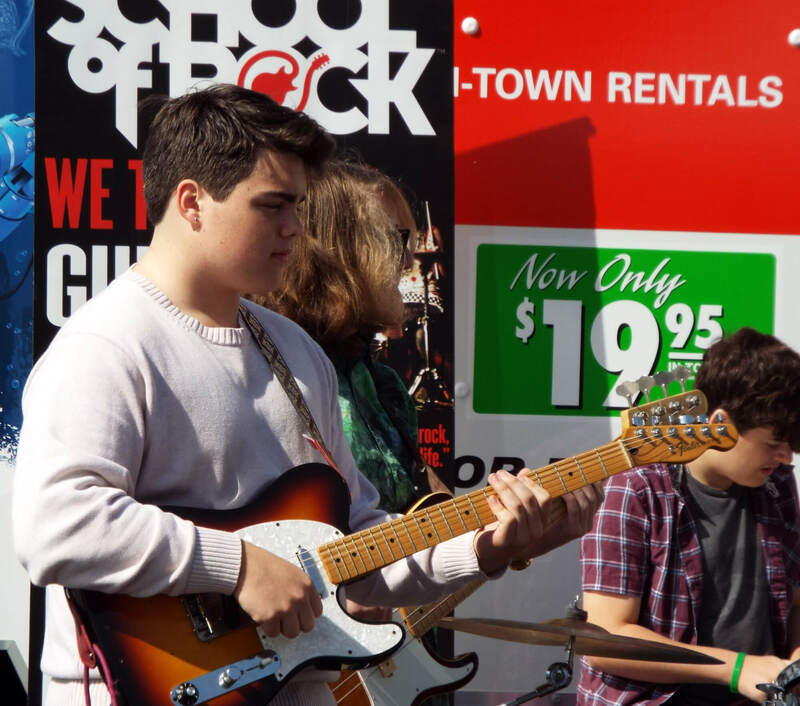 Sean's experiences have allowed for some great perspectives to provide his School of Rock Silver Spring students with in his position as a guitar teacher. waiting for the bus out in front of the school, have mercy! 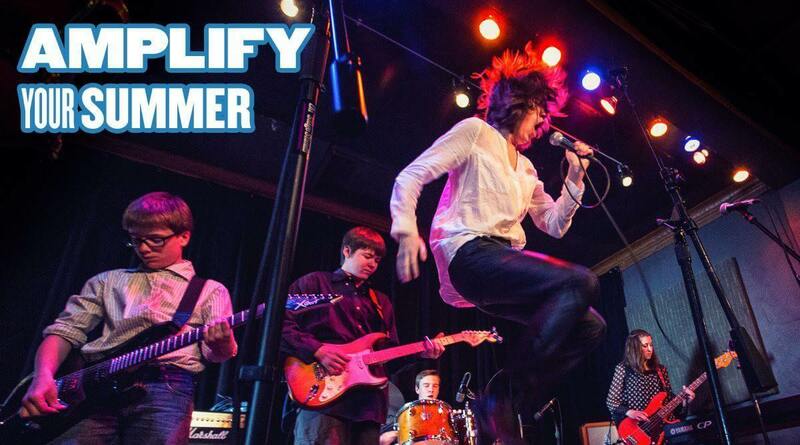 We have great summer music camps! Programs starting at Age 6 and up!